Fishermen love Brookings. The area, known for its warm, mild climate and natural beauty, offers superb year-round ocean and seasonal river fishing. The Port of Brookings-Harbor has one of the safest entries to the Pacific Ocean on the West Coast. It is a working port that caters to sport fishermen, sailors, pleasure boaters, and a fleet of commercial fishing vessels. The supporting infrastructure provides dock, electrical, fuel and sewer services. Numerous ocean-going boats are available for charter. Sportsmen may try their hand at bottom fishing (lingcod and a variety of rockfish such as rock cod and Pacific snapper) or go after salmon, halibut, albacore, red tail perch, Dungeness crab or shark. For the more laid-back, fishing from shore is another option. River fishing is also a popular pastime in and around Brookings. 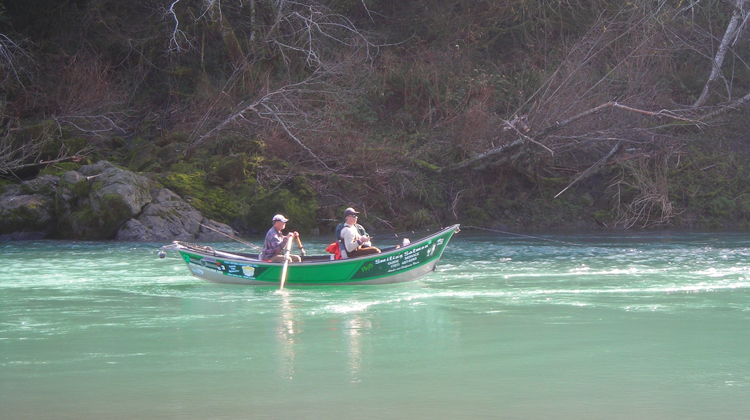 The Chetco River, which flows into the Port of Brookings-Harbor, and the Winchuck River to the south, both receive rave reviews for their salmon, steelhead, and cutthroat trout populations.